Egyptian online real estate marketplace Aqarmap has raised an undisclosed amount of investment from Dubai-based Wamda Capital, Kuwait’s KISP Ventures and Saudi’s Raed Ventures, the startup announced today. The round was closed a few months ago but has been announced today with some additional funding coming in from a group of family offices that has investments in real estate industry across the region. Founded in 2011 originally in Yemen by Amad Almsaodi, the startup helps users buy, sell and rent properties in Egypt & Saudi Arabia through its website and mobile apps. 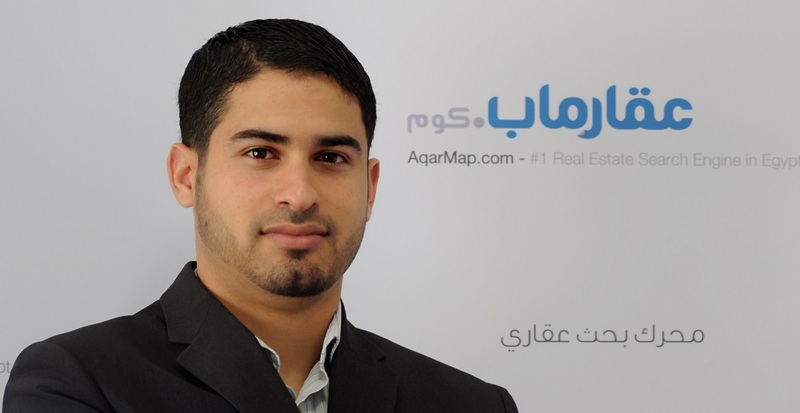 With offices in Egypt, Saudi & UAE, Aqarmap claims to have helped sell 17,000 units with a total value of more than half a billion dollar in 2016 and 15,000 with a total value of over $650 million last year. According to the statement by Aqarmap, it is currently the largest real-estate online marketplace in Egypt. The startup had raised its first investment back in 2011 in which Wamda’s Fadi Ghandour had also participated as an angel investor. “We are especially proud that we generate more than 200,000 leads every month, and have helped sell more than 15,000 properties in 2017 worth 12 Billion Egyptian Pounds,” he added. “We believe that that the team at Aqarmap has been exceptional in solidifying their position in the market and driving value to both consumers and real estate developers. We are excited to become part of the Aqarmap story and partner with Amad to help drive the business forward,” he added. Last month, the parent company of one of the UAE’s leading online property portals Bayut.com had also raised $50 million.